Some common myths about doing your own Estate Plan. MYTH: I have chosen a godparent for my children, so it is not necessary for me to nominate a legal guardian for them in case something happens to me. FACT: Traditionally, the role of a godparent is to faithfully assist the godchildren in leading a spiritual and moral life. It is not a nomination or appointment to become the child's legal guardian. Nominating a legal guardian for your children should be done in a specific legal document or as part of your Last Will and Testament. MYTH: I have found that if I add my children on title to my home and financial assets, I will not need an Estate Plan and my children will not be subjected to probate when I die. FACT: Actually, this may be true, to a point. However, adding children on title to your assets may present several problems for you including: loss of control over your key assets; subjecting your assets to creditors of your children, including divorcing spouses; unintended tax consequences; loss of public benefits for low income earners or special needs dependents, just to name a few. A properly prepared estate plan will help ensure your wishes are properly carried out while helping protect both you and your heirs from these types of problems. MYTH: If I write out a list of who I want my assets to go to and sign it before witnesses, I won't need to create a Will or a Trust. FACT: Handwritten Wills, called Holographic Wills may be valid but they must conform to very specific requirements. These types of directives are highly discouraged and often fail. Wills, whether hand written or legally prepared, do not avoid the process of probate. MYTH: I have added my older or able-bodied child or children to my property and accounts and/or named them in my Will, so they can use my assets to provide for my minor or a special needs child. FACT: Even if well intentioned, leaving money or property to older or able-bodied children in order to take care of minor or special needs children places those desperately needed resources in jeopardy. If the child holding the assets dies, divorces, or can't pay their debts, the money your special needs child needs to live may be lost. A properly prepared estate plan will help achieve your goals for all your children. MYTH: The cost of obtaining a quality Living Trust is too expensive. FACT: Actually, a Living Trust can be very affordable, especially when compared to the cost of subjecting your estate to probate. MYTH: I don’t have to worry about probate because I don't own very much. FACT: Even a small estate can be forced into probate. If you bought a home or have assets valued over $150,000 in your name (before deducting a mortgage or other debts), probate is automatic. The cost to probate an estate can be up to 10% or more of your gross estate. A Living Trust can be used to avoid probate and efficiently carry out your wishes. MYTH: I don't plan on dying anytime soon, so there is plenty of time to think about an Estate Plan. FACT: We hope you live a long life, but look at it this way: You buy insurance protection for your house and your car. 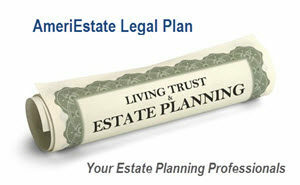 Have you considered buying an Estate Protection Plan to protect something much more valuable to you… your family? Very good questions with valid responses to constantly lobbied questions! My favorite is; I have a business that I am in partnership with another person do we really need any estate planning advice to cover this within our living trust?